Aussie dancefloor diva Havana Brown is back with a brand new single. 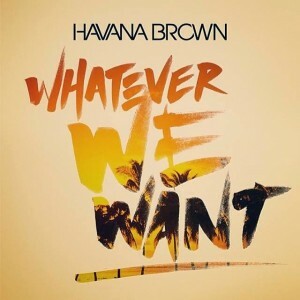 ‘Whatever We Want’ dropped to Aussie media earlier today, beginning the next chapter in the songstress and DJ’s burgeoning career and marking the first new music from Havana since her debut album ‘Flashing Lights’ dropped in October last year. She’ll no doubt be showcasing the track at her upcoming shows, including at Brisbane’s Family tonight and Sydney’s Marquee tomorrow night. ‘Whatever We Want’ will be released digitally next Friday, March 28.